Jessica Lahr, Jim Sinicropi and Josh Durso recap the past Wonderful Life weekend in Seneca Falls, talk about the first snowfall of the year, Brian Kolb’s bid for governor, the weather for the December weekend ahead, and some great local photos taken in the past week here in the Finger Lakes. 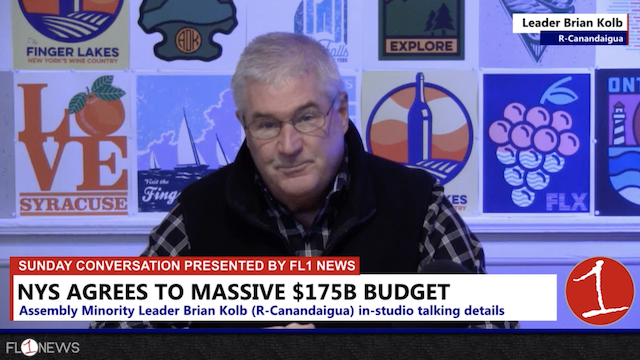 On episode #79 of the Inside the FLX podcast New York State Assembly Minority Leader Brian Kolb (R-Canandaigua) will be in-studio to discuss a wide-range of topics. Kolb has been considered a serious contender for a Republican ticket in the Gubernatorial race in 2018, along with Dutchess County Executive Marcus Molinaro. Other topics slated for discussion include business growth in Upstate New York, the growth of the Finger Lakes as a destination in the U.S., and what types of changes are needed at the state level to promote growth for those who call this region ‘home’.